I once had a South African wine, I cannot remember which one, several years ago that I enjoyed quite a bit for its ease of drinking. It was smooth and uncomplicated, just a good quaffable wine. The back label stated as a summary of the usual wine descriptors: “Goes down well!” I absolutely LOVED that term and have adopted it since for fun, easy drinking wines. 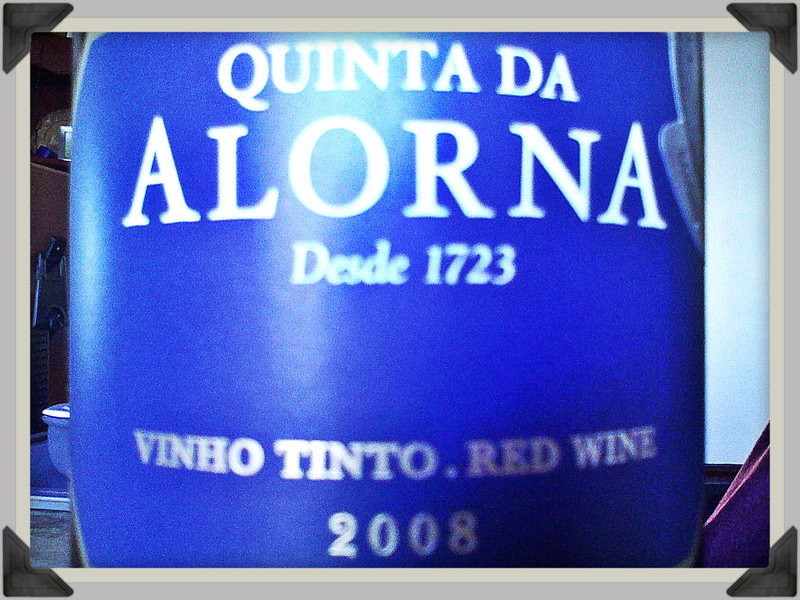 First up is the 2008 Quinta da Alorna Vinho Tinto, a Portuguese red blend comprised of the grapes Tinta Roriz, Castelao, Syrah and Alicante Boschet (YAY, two more grapes to tick off the Wine Century Club application).The wine is from the Tejo region in Portugal and has an agreeable 13.5% ABV. It was a bit heavy at first, but then opened up to a nicely herbal and soothing red, full bodied and well integrated tannins. Not much primary fruit going on, but just what I’d expect from a Portuguese red. Great for a winter evening. I have yet to be really let down by a Portuguese red. Bought for $11. 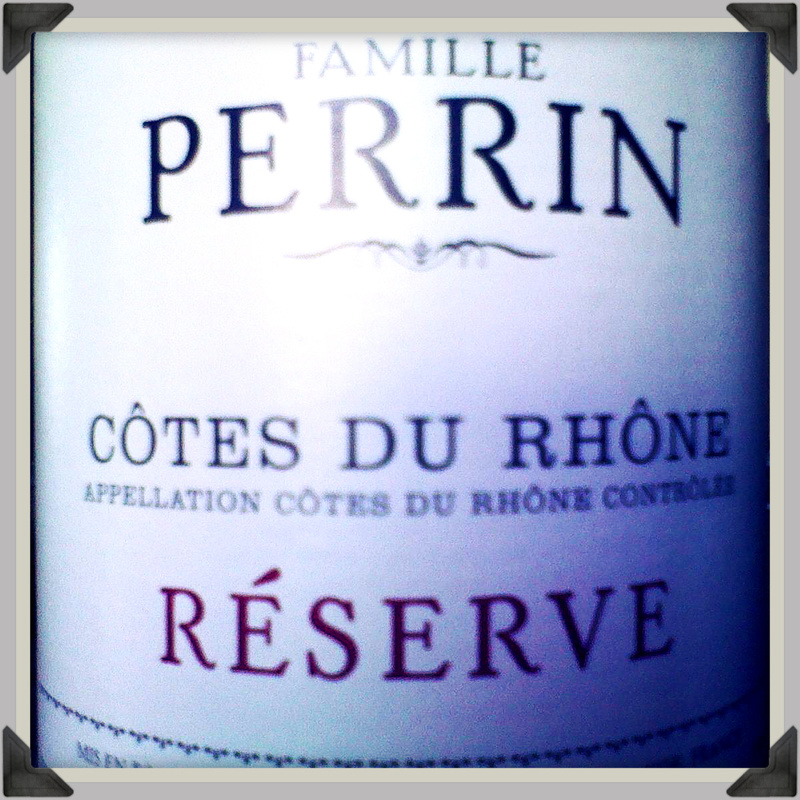 Next up the 2010 Famille Perrin Côtes du Rhône Réserve, a French red blend from the well renown Perrin & Fils winery. A blend crafted from wines all over the region, it has 13.5% ABV and garnered some praise in the wine world for whatever that is worth. According to The Wine Advocate the wine is made with Grenache and Syrah grapes from Perrin estates and contracted wineries. I really enjoyed this wine. It was light and simple without being dull, very fruit forward and accompanied our mushroom ragout with mashed potatoes and goat cheese very well. I can see this work on its own as well. It reminded Nina of summer, what a great compliment for a wine. Bought for $10. 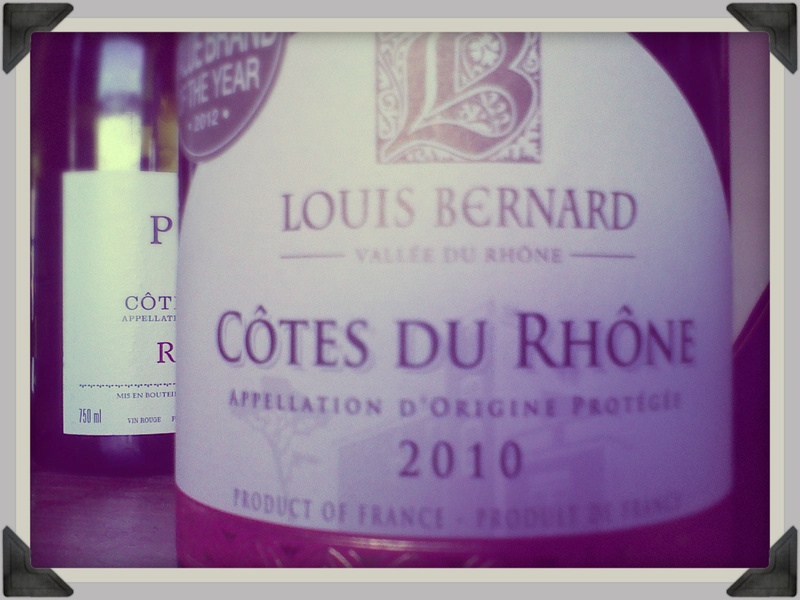 The best value by far was the 2010 Louis Bernard Côtes du Rhône, another French red blend from Southern France. Another big producer, another goes down well wine. It is made with Grenache and Syrah grapes, with Syrah being the dominant grape in the mix. The wine also has 13.5% ABV (if you see a pattern there, you are right: I prefer lower alcohol reds). The wine is very fruit forward, great red berries and currant. On the palate it is nicely smooth, has low tannins and is super user friendly. It might be a bit too sweet, but that really is just a bit for me. Bought for $ 6 (there is currently a manufacturer mail in rebate possible that brings it down to $4 per bottle!). I hope you find this helpful. Nothing impressive, but rock solid, good everyday wines. This article went down as well as the wines (I am sure did). It is always good news about some decent affordable wines, and I am very partial to Cotes du Rhone wines. I have to say, I have never had a bad wine from there. Keep shopping, and most of all, keep tasting. That is totally the spirit!! :) Sounds like your Cotes du Rhone experience is like my Douro valley experience. “super user friendly” – huh, I like that wine definition! Cotes du Rhone are some of my favorite wines. “Goes down well” is great. These days, in America, however, you’re more likely to hear them say, “Goes down good.” It’s improper grammar, supposedly, but the times, they are a-changin’ and what was improper yesterday, suddenly becomes totally acceptable today. They are just light and deep enough at the same time, that is what I like about them. My favorite wines are the good everyday wines! We have so many bottles of “special occasion” wines that I’m afraid we’ll never drink, because nothing seems special enough to pop the corks. Shifting directions, I’ve been editing all of my iPhone photos with the Snapseed app for a few weeks – it’s so easy to use and (I think) it makes a huge difference in photo quality. Thanks for that info on Snapseed! That is extremely helpful. I will look into that right away! On special occasion wines: I think of them as being the occasion which makes it a lot easier to open them (there is still a hesitation, I admit, but it is definitely easier). There are bottles from our wedding year that we are saving up and plan on drinking over the next years on our anniversaries. I love when you give us budget friendly wines! I always add them to my list. I hope you can find them! !